Experience the “moveable feast” of Paris during fall, with the glorious light and weather of this season, and participate in a photography workshop led by Peter Turnley, one of the most prominent photographers of Paris life of his generation. No matter when you visit, this city is an experience of a lifetime. "Open Eyes and Heart in Paris". Students will spend much time exploring and photographing the rich daily life of Paris. 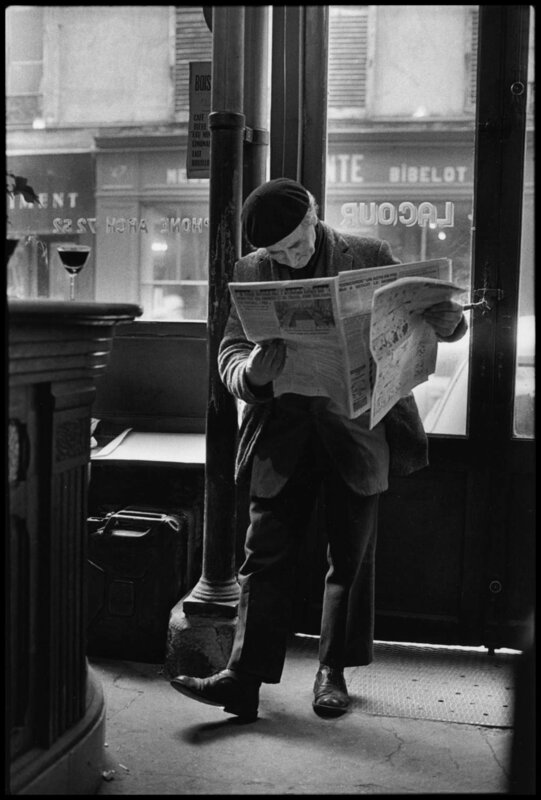 They will be exposed to the work of many of the greatest photographers of all time who, at one time or another, have documented the Paris scene: Kertesz, Doisneau, Cartier-Bresson, Brassai, Atget, Izis, Ronis, Boubat, Ronis and Turnley, among others. Students will visit many of the rich museum spaces for photography in Paris, will meet several prominent members of the Paris photographic community and get to meet one of the greatest black and white printers of all time. Students will be encouraged to work on their own personal portrait of the daily life of the city. 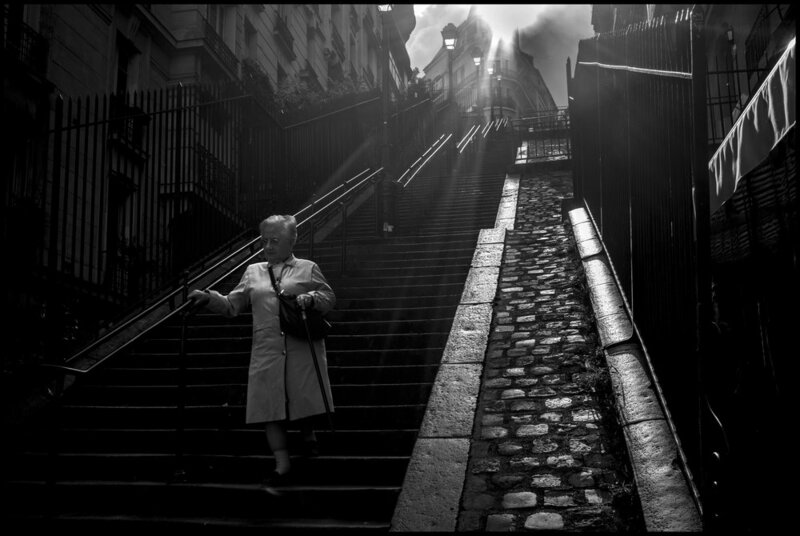 "The Streets of Paris" deals with the humanistic traditions of street photography. Students will be expected to think not only in terms of single images in a fine art sense, but will be highly encouraged to think of the notion of telling a story with a group of pictures. Students will be encouraged to photograph the life of Paris and accept the challenge of photographing people, as well as the environment and visual landscape of the city. Peter will help the students with this process and offer tips for overcoming any hesitations or timidity. Students will create a photo-story with 15 photographs on a theme of their choice about Paris or the life of the city. 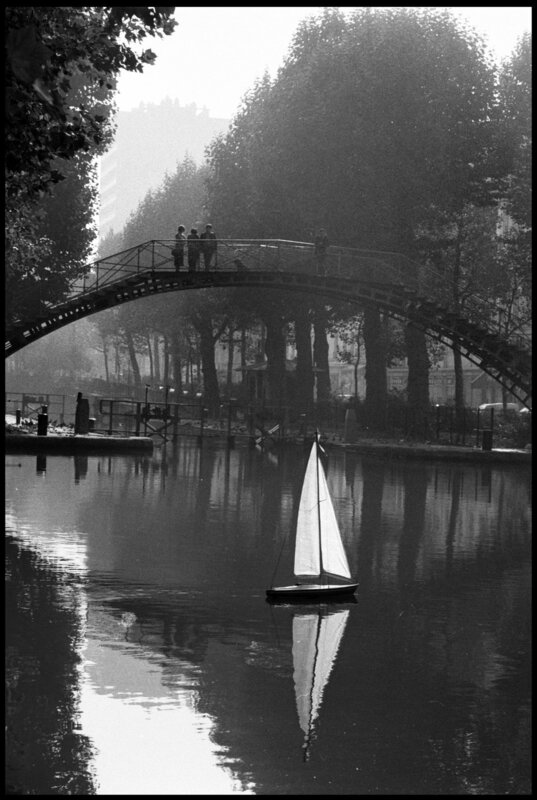 Peter will work with students in the choice of their theme, which can be very broad, such as “My Impressions of Paris”, or very narrow, such as “The Life of the Seine River”. It is not important that students know in advance what their theme will be, but they will be expected to accept the challenge of choosing a theme early in the workshop and sticking to it in order to create an interesting and coherent photo-essay. At the outset, students will choose whether they will shoot their story in black and white or in color. They will be expected to stick with their choices once they have been made. Peter will discuss technique, intent, composition and the creative use of the camera and lens. He will review and critique your portfolio and works-in-process, discuss careers, getting published and give you an idea of where you are and what to do next to become better. This workshop is for experienced photographers and photography students who want to explore Paris while working with and learning from one of today's masters of photojournalism. This is an opportunity to be inspired by the street and nightlife of Paris and to produce a new body of images. 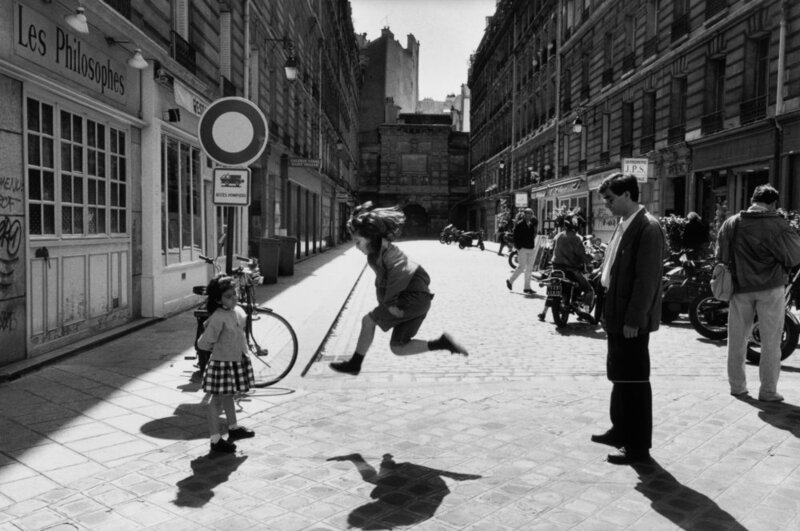 Students will explore the rich tradition of the "decisive moment" and be encouraged to contemplate the themes of humor, sensuality, light, elegance, art and joie de vivre of the Paris landscape. This seven-day workshop should be one of the richest experiences of a lifetime for all participants. There are lectures and presentations by Peter and several of the most prominent members of the international photographic community. Each day the workshop group meets for three hour inside-sessions in a very charming roof top apartment with elevator and balcony with view of Paris (Peter's apartment.) This workshop meeting place is located on the rue des Guillemites, Paris 75004, in the very heart of Le Marais, one of Paris' most charming centrally located neighborhoods. Participants will need to find their own lodging for the week. Many participants find wonderful nearby flats to rent through AirBnb. Peter has also found three very nice hotels, each with different rates and all within walking distance of his apartment. Below are the names, websites and phone numbers. We ask that each you call and reserve a room at the hotel of your choice. You can also see each of these hotels on their respective web sites and book on-line through a variety of sites (this is not an exhaustive list, and there are many other Paris hotels nearby you can find). Plan to arrive on Saturday or at the latest by noon on Sunday. The first workshop session will begin at 2pm on Sunday. Flights from the States are often in the evenings which means that you could fly Friday evening and arrive in Paris on Saturday and give yourself an evening to get acclimated before the workshop begins on Sunday. The workshop ends at noon on Saturday with a final show of the students’ final 15-image photo stories made during the week. Students are free to leave on Saturday afternoon which would enable those needing to get back to the States to work on Monday the time to do so. Those wishing to stay in Paris or France longer are free to continue their trip after the final class. Research and preparation are important parts of any adventure. There are many very thorough guidebooks about Paris and extensive information about Paris and France can be found online. The first and last meals are included in the cost of the workshop. You will be a guest of the workshop for a group opening dinner, and a final dinner on the last evening. Aside from the two group meals, breakfasts, lunches and dinners are independent but students are encouraged to join each other in local restaurants and cafes. Expect to be paying around $50 a day on meals. This is an ideal workshop to bring along a spouse, son or daughter or partner. Non-photographic companions may join the group sessions and meals but are not involved in the critique or review sessions. Companion supplement is $250. 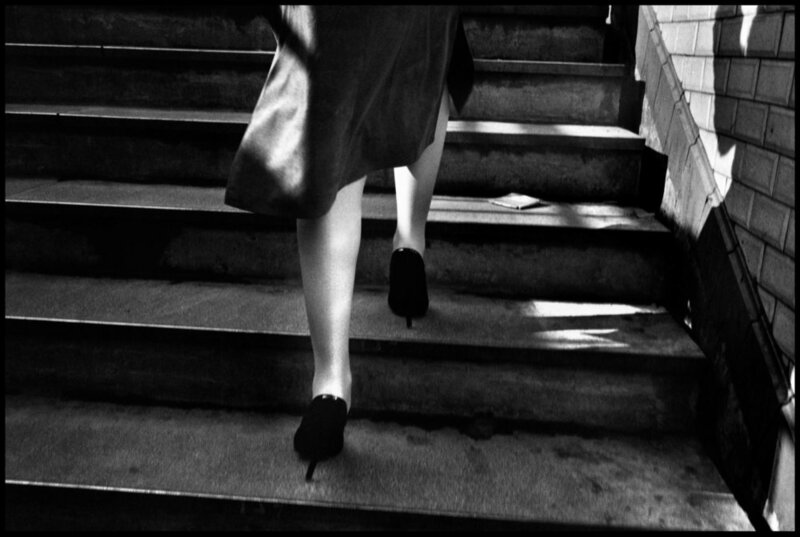 Peter Turnley: French Kiss - A Love Letter to Paris from Leica Camera.